Gartner expects user entity and behavior analytics techniques to become embedded in roughly 80% of the threat detection and incident response market by 2022. But, between now and then, it appears more user behavior analytics tools are headed for optimization in the cloud. 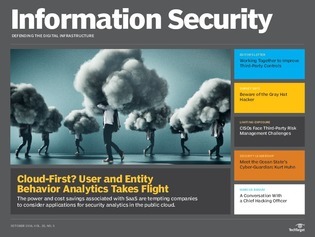 In this issue of Information Security, take a look at a new functionality in user behavior analytics and security analytics, and how machine learning tools are attempting to help security operations centers stay on top of insider threats, external dangers and cloud security monitoring.